COSEY COMPLEX Reader was produced as a discursive intervention produced in the ICA's Reading Room in the weeks leading up to COSEY COMPLEX at ICA, London on 27 March 2010. It was conceived by Zak Kyes and commissioned by Maria Fusco and the ICA. 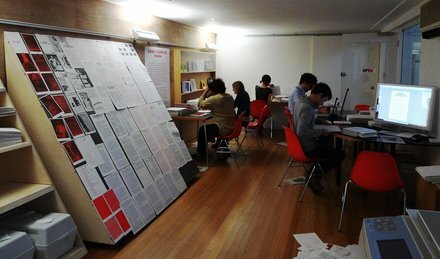 The Reader was produced on-site in the ICA Reading Room as part of Zak's two-week residency there.